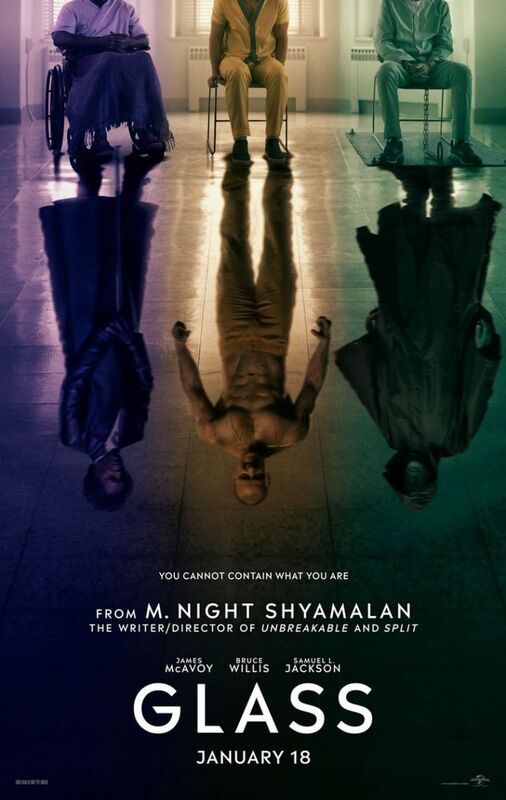 Stories finally collide, as M. Night Shyamalan’s Unbreakable universe converges in this first poster of Glass. (Spoilers for a certain recent M. Night project below). 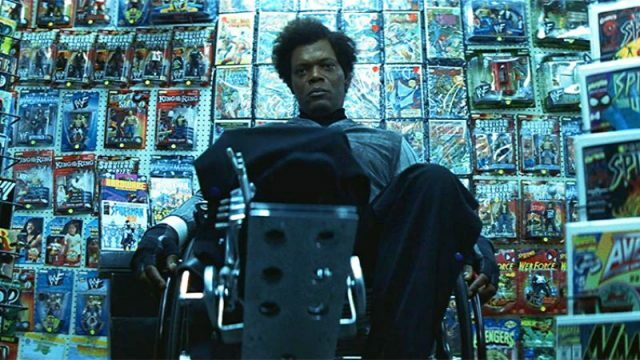 2016’s Split was full of crazy twists and terrifying turns, but one twist left many longtime Shymalan fans absolutely speechless- the revelation that the film took place in the same universe as 2000’s Unbreakable. A few months after Split’s release, the filmmaker confirmed that he was working on a sequel in the trilogy. Just yesterday, on June 28, 2018, Shymalan finally confirmed that the film was well into post production. Editing away on #Glass. Pass 8. Fat shedding. Seeing it as one story for the first time. Not even a day later, the first poster of the film was revealed. In it sits Willis’s David Dunn, Jackson’s Mr. Glass, and McAvoy’s The Beast. Though each appear to be confined chairs near the top of the poster, their reflections on the floor showcase their more intimidating, perhaps ideal personas. Furthermore, Shymalan revealed via Twitter that the first trailer for the film would be shown in Hall H on July 20, 2018, during the San Diego ComiCon, in addition to some mysterious “surprise”. In addition to McAvoy, Willis, and Jackson, Sarah Paulson will also be joining the cast as a psychiatrist, as well as Anya Taylor-Joe reprising her role from Split. Also, Spencer Treat Clark and Charlayne Woodard will be reprising their roles from Unbreakable as Joseph Dunn and Mr. Price, respectively. Glass is set to hit theaters in the United States on January 19, 2019.